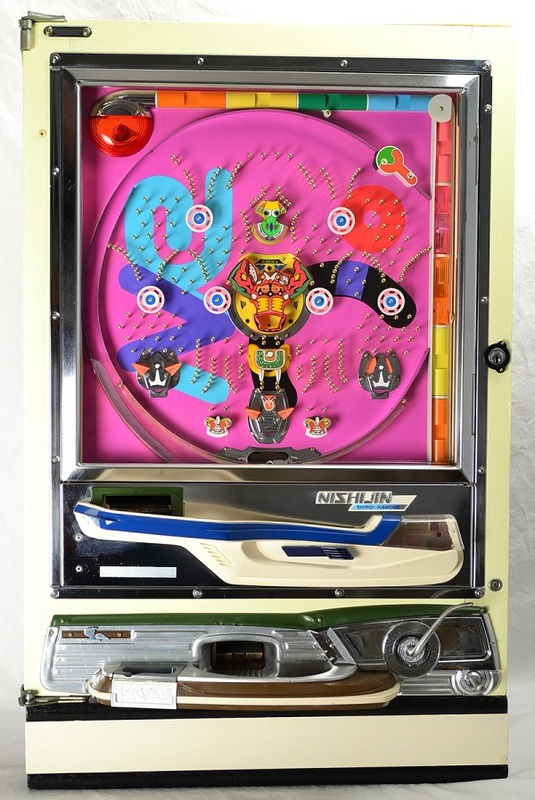 You could search for years before finding an Ebirah pachinko machine, and this one is fully restored and ready to display and play! It features Ebirah, the lobster-monster nemesis of Godzilla, who first appeared in the 1966 classic, "The Horror of the Deep". 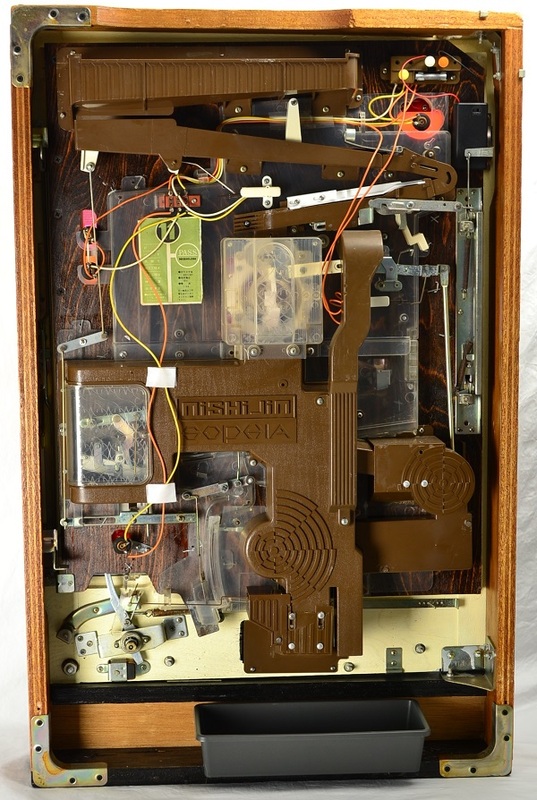 This 1975 Nishijin M-11 Pachinko machine is ready to go! 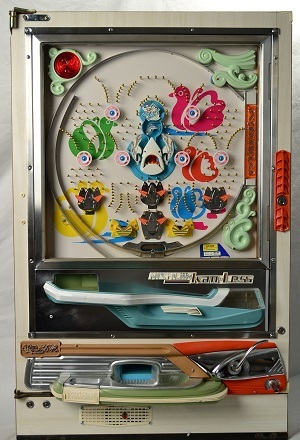 We have done hundreds of machines, and this is the first one we have ever gotten our hands on. 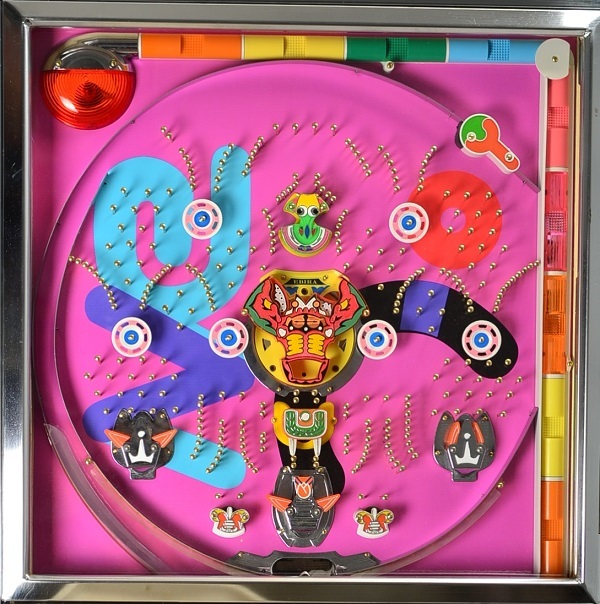 It is fully functioning mechanically and although power is not required, the low reward tray light and jackpot lights have been modified to run on a 9vdc battery pack with LED bulbs. This Pachinko Machine was carefully and completely disassembled and all pachinko ball pathways and parts (plastic and metal) were cleaned thoroughly. The case and front trays were also similarly cleaned. 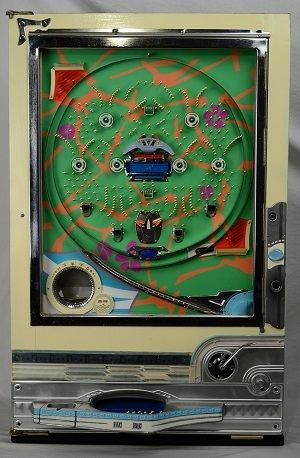 The playfield has been replaced with a reproduction vinyl reproduction and sealed beneath a 3-mil UV laminate to protect it from damage for decades to come. The jackpot lever axle was carefully polished smooth, cleaned and pivots easily under its own weight. 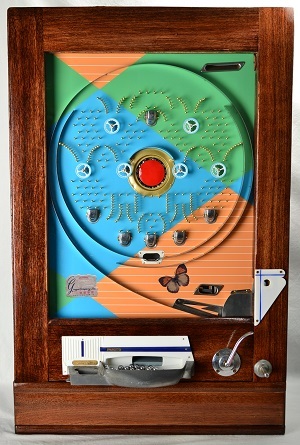 The see saw (jackpot actuator) and all moving parts move freely and function like original. 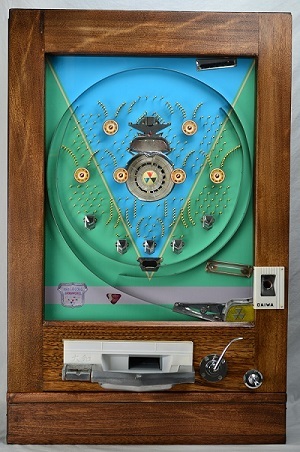 This machine pays out jackpots reliably with the soft, pleasant ringing of the bell. We will happily ship to 48 contiguous states, shipping will be via FedEx ground and insured and is included in the price. Total weight of this machine is approximately 35 pounds. Pick up is welcomed. Please email for shipping rates for outside of the continental USA. Returns accepted if description is not accurate, Buyer to pay return shipping & freight.